Free High Fives!!! – The Small Things. Question: Who doesn’t love a good high five?! Answer: No one. Because everyone should love high fives. A high five is basically a universal action of happiness and awesomeness! It doesn’t get better than that, my friends. Second question: Who doesn’t love running?! Answer: Lot’s of people actually… But I am not one of them. Since I started running in January I have learned to really enjoy running. 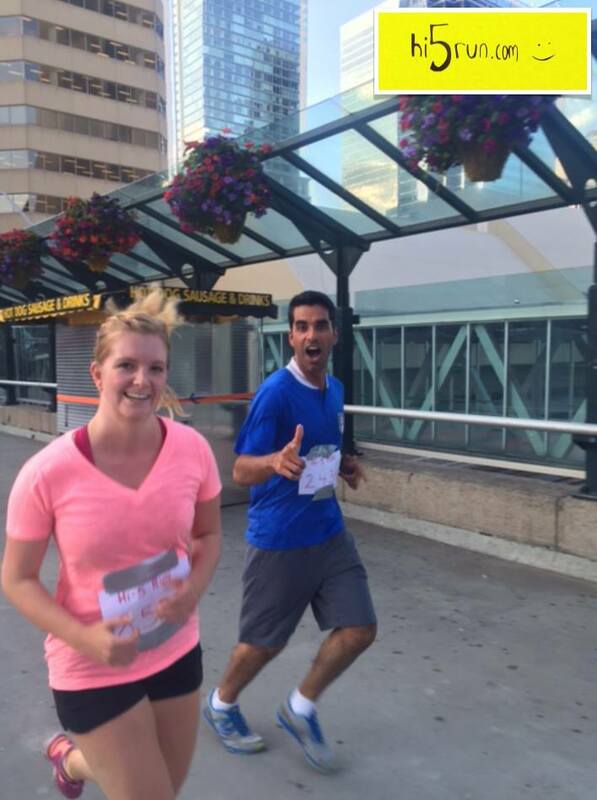 So when my friend Karin invited me to the Hi 5 Run, how could I say no? Confused?? I’ll let the “founders” of the “run” elaborate. This is the description found on the Hi 5 Run group facebook page. 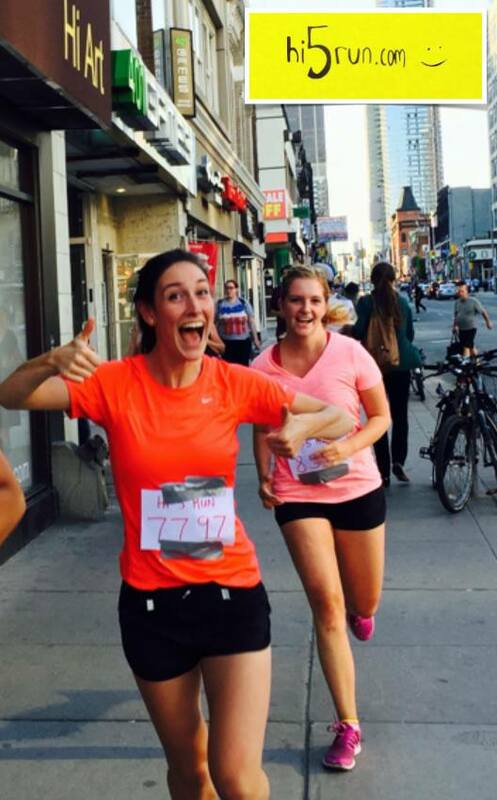 Join us for a monthly community run down yonge street. The finish line is the iconic CN Tower. What is a Hi 5 run you ask? Well we run, and we hand out free high 5’s and watch as people get thrown out of their daily grind for just one second. Lets get real, who doesn’t love a high 5. It put’s a smile on the face. Yup, you read that correctly. We run and hand out free high fives. The run itself is juuuuuust under 5km and its mostly down hill. Between the high fives and the stops at traffic lights you hardly notice that your running. It was a great way to ahve fun with friends and get in some fitness. Here are some photos of the Hi 5 adventure! 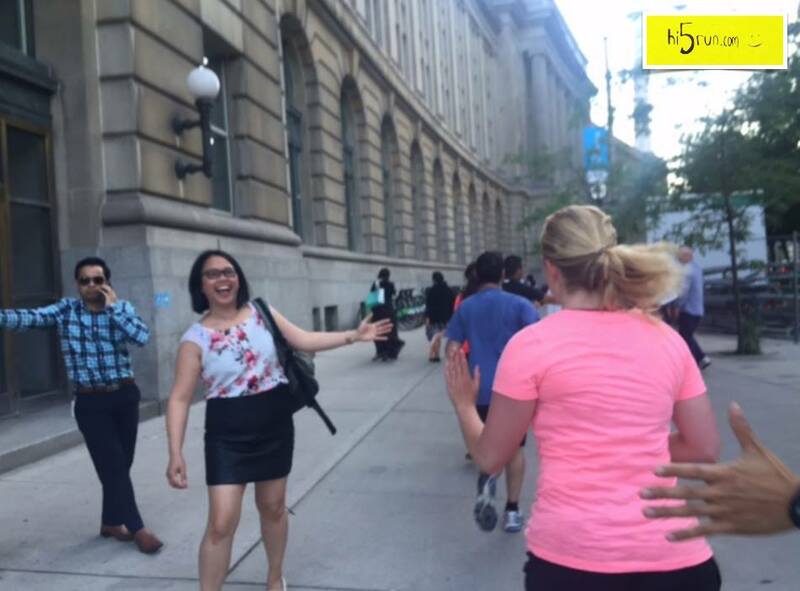 Karin could not be any happier to be giving away these high fives! What a happy & cheerful bunch of runners! There I am, making someone’s day with a high five! Can you feel the awesomeness about to happen?! The every end of the run & while I’m red faced, we are still smiling! Sounds like a unique experience. Seeing people smile and laugh as we ran by was the best part! It sue was an interesting way to spread some happiness around. My 18 month old would have been giving you high 5’s the whole way! That is adorable! I didn’t get to high five any little guys this time but maybe at the next one!